Hi y'all! Today is World Autism Awareness Day! :) I am very excited to say that our Online Auction seems to be doing a fantastic job of raising funds for a very important (and dear to my heart) charity and cause! 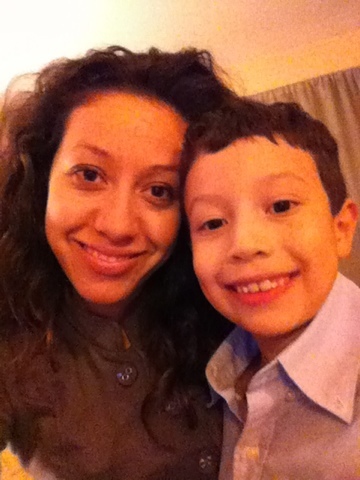 I've spoken about my son's Asperger's before, and I have to tell y'all, I'm so blessed to have him in my life! He has taught me so much in his 8 years of life! I am a better person for having him in my world! 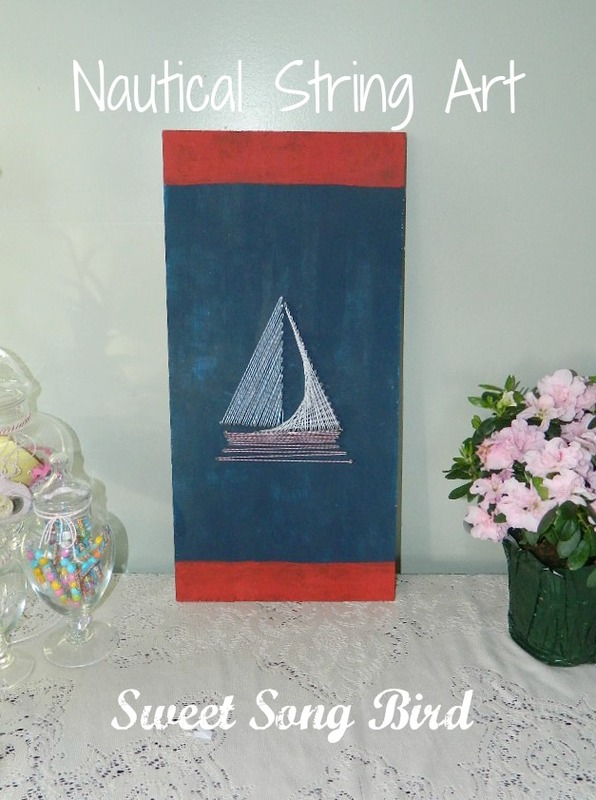 Anyway, back to my latest project for the boys' Nautical Room Redo! I knew I wanted to create something one of a kind. 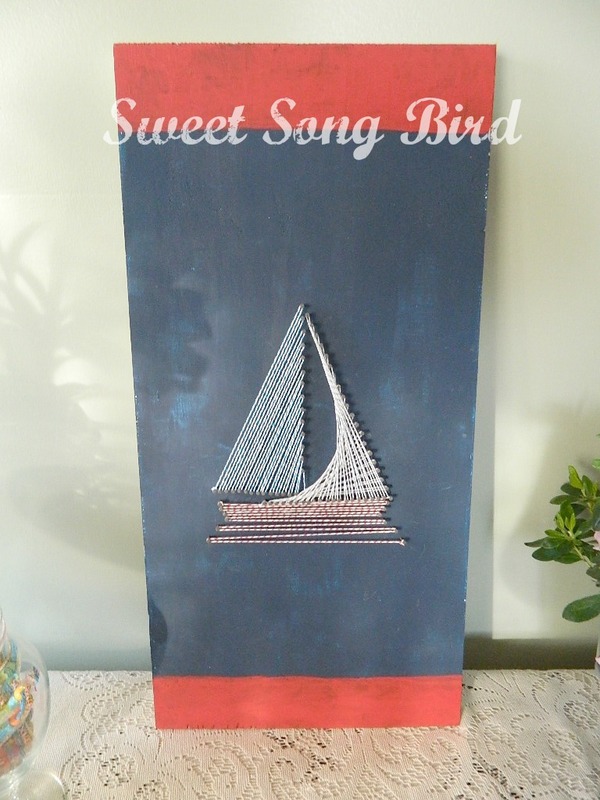 I had seen some heart and Valentine's Day string art floating around Pinterest back in February, so I began looking for something similar just nautical themed. Here is how I created this fun new take on a retro form of art. 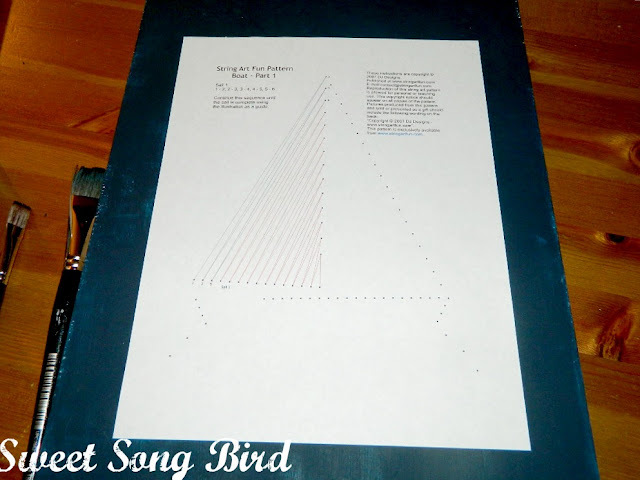 I followed the instructions and printed out the .PDF pattern over at String Art Fun to make my sail boat. I simply placed the paper over the painted wood and scored the dots with a nail to serve as a guide. Then I went back and nailed each nail into each scored hole. I left just about 1/4 of an inch raised from the wood to allow for dimension and easy stringing. 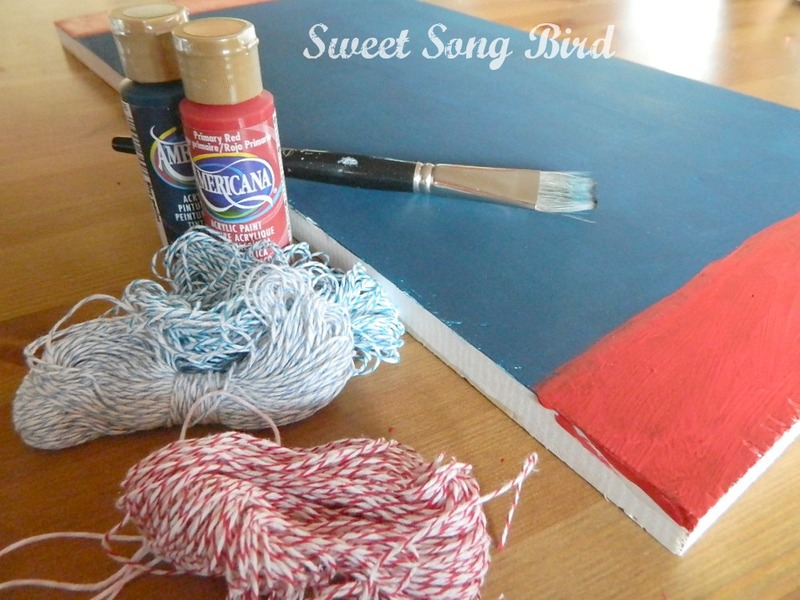 Instead of using string, I used Baker's Twine in Red, Navy Blue and Light Blue. I was thinking of adding some lettering but hubby thought it looked fine as is. What do YOU think? Should I add lettering of just leave it? 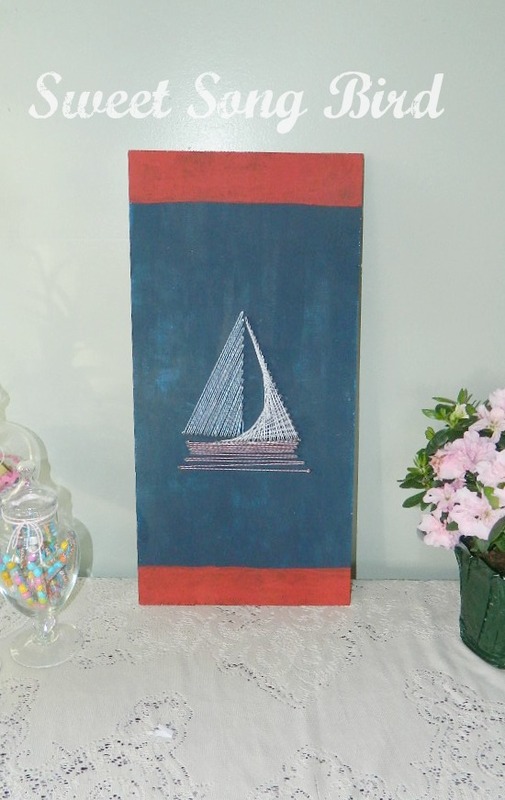 I was thinking it should say something like "Come sail away with me", in white letters. Either way, this was one of my favorite projects thus far for the boys' room redo! LOVE this!! Great job!! I would totally do lettering! I would put "Sail away" above and "With me" below. Thanks for sharing! 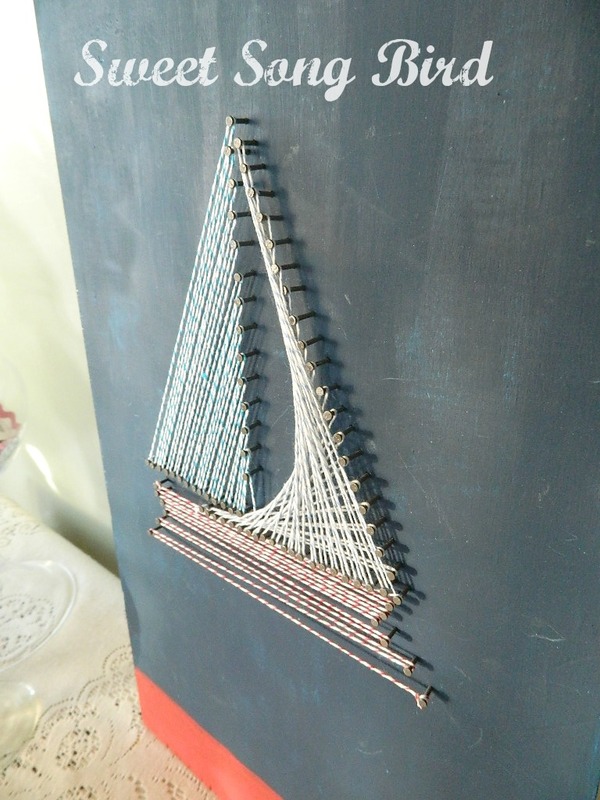 Evey - I featured your amazing Nautical String Art on Details today. 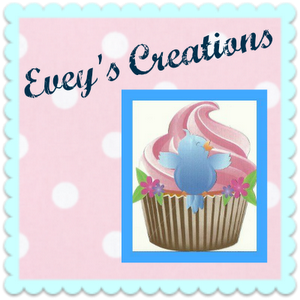 It's my other blog! I just love this project.